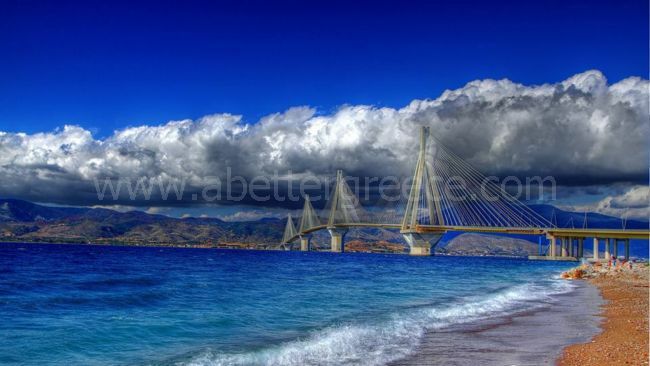 Patras is the third largest city of Greece and is well known for its beauty. Located on the northern side of the Peloponnese, Patras has a large port with regular ferries travelling to Italy and the Greek Ionian Islands. A large university makes the city even busier with students almost all the year round! When travelling to Patras, you should visit the medieval castle, the large church of Saint Andrew (who is considered to be the protector of the city) and the Roman Odeon. The beach promenade is a lovely spot to stroll around and enjoy a coffee with sea view. Patra is famous for hosting the best Carnival in Greece with many events and a large costume parade. The nice beach resorts in the region are great for family holidays, while its central location is convenient for road trips to Olympia, Nafpaktos, Mesolongi and Delphi. For the adventurous, alternative activities surround the region of Patras, rafting at Evino, mountain climbing, walking, Cross country ridding, paintball and the list is long. The wide array of special events, exhibits, festivals, and various ongoing presentations, continue to delight large numbers of travelers annually, all of which have been designed to show the city of Patras at its best. For those of you who have never experienced the city, it is one of the best examples of a true Greek city. In addition to its tourist industry, Patras relies heavily on agriculture, its prolific wine country, and its busy shipping industry. However, it is also renowned for its colorful Carnival Season and how it has preserved the performances of ancient Greek theater. The city is oftentimes referred to as Patra and is located on the northern coast of Greek’s Peloponnesian peninsula. It is situated near the new Rio-Antirio Bridge which links the Greek mainland to the peninsula. The city was founded in 1,100 BC and at one time was one of the major port cities in all of Greece. Today, it is the Peloponnesian peninsula’s largest city and principal port. Should you decide to vacation in Patras, here is a list of attractions that you might want to consider. Sit and admire the different facades of the banks in the square as well as the neoclassical theater. These are newer buildings as Patras has been rocked by earthquakes as well having been nearly burned to the ground during the War of Independence with the Turks. Plateia Olga and Plateia Martiou which feature numerous cafes, restaurants, and shops are other areas you should explore. See the mosaics in the Cathedral of St. Andrew: Located near the waterfront, the Cathedral of St. Andrew was built after World War II. Its mosaics present a vivid picture of the city of “old” Patras. Be aware that appropriate dress is required. St. Andrew’s skull is on display in the cathedral near the right hand side of the altar. It is also a primary pilgrimage shrine. After touring the structure, take advantage of any one of the cafes situated in the shaded park located across the street from St. Andrew’s. Visit the Archaeological Museum: Despite having been closed for recent renovations, if the Archaeological Museum is open it should be a priority on your agenda. It is usually open Tuesdays through Sundays and holds a wealth of displays about Greek culture and history as well as significant details about Patras’ past. Spend the evening at the Roman Odeon: The Roman Odeon is located just off Platia Martiou and worth the visit if you’re energetic and want to take in some of the nightlife. There are numerous bars and cafes situated around here on the many pedestrianized streets. Venture up any of the streets leading to the Patras Fortress for an additional adventure. 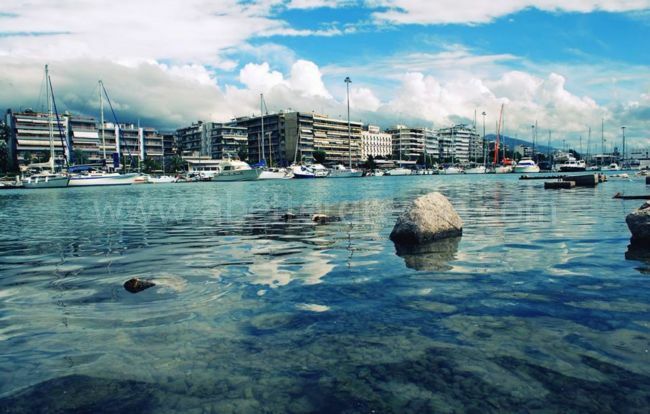 There are various beaches in Patra you can visit during your stay there. The closest Patra beaches are located on the eastern coast of the Peloponnese and each one of them has its own unique features. You will find below a list with the best beaches in Patra Greece. The town beach is a pebbly long beach that gets very crowded during the summer, as its location is just 1 kilometer away from the center of the city of Patras. It is an organized beach. Rio is a clean beach, located just 8 kilometers away from Patras, the beach is sandy with small pebbles, it is an organized beach and suitable for children. There are many taverns, restaurants, shops and hotels along the beachfront. Psathopirgos is a quiet, long beach located just 8 kilometers to the eastern side of Patras. There are a couple of hotels, taverns and shops upon the beach but generally it is a peaceful area with clean water and suitable for families. Rodini beach is located 17 kilometers to the eastern side of Patras, it is an organized beach with a lot of beauty to offer its visitors. Patras is a bustling student city, a place where entertainment, history and culture mingle together to create a destination filled with wonderful discoveries. Start your exploration around the city from Ayiou Nikolaou (Ayiou Nikoláou), the most famous pedestrian street. There, 192 steps await to lead you to the Old City. A romantic stroll around its cobbled streets will reveal grand colorful neoclassic mansions, reminders of the city’s glorious past. Visit the city’s Medieval Castle, built in the second half of the 6th century A.D. on the ruins of the ancient Acropolis. Its walls enclose an area of about 22 sq.m. ; it consists of a triangular external compound enhanced with towers and ramparts. Walk past the remaining buildings, and take in breathtaking views of the city. West of the Acropolis, in the “Áno Póli” (upper city), you will find Patras Roman Odeum, which was actually built earlier than the Athens Odeum (Herodion 160 AD). The geographer Pausanias, who visited Patras in 170 AD, wrote: “It has the most beautiful decoration I have ever seen, excluding of course that of Athens”. The surrounding space is turned into an archaeological area where mosaics, sarcophagi and other ancient findings are displayed. The romantic souls should seek for the city’s landmark, the Lighthouse, in order to enjoy a breathtaking panorama of the port. A visit to Spinney, the pine-tree-covered hill, the so-called “Veránda” of Patras will certainly uplift your senses. Its specially formed paths and the shade offered by the tall trees make it an ideal place for you to enjoy leisurely walks, or even go jogging. There you can also find a Municipal tourist kiosk from where you can admire a breathtaking view of the city, the port and the Patras Gulf. 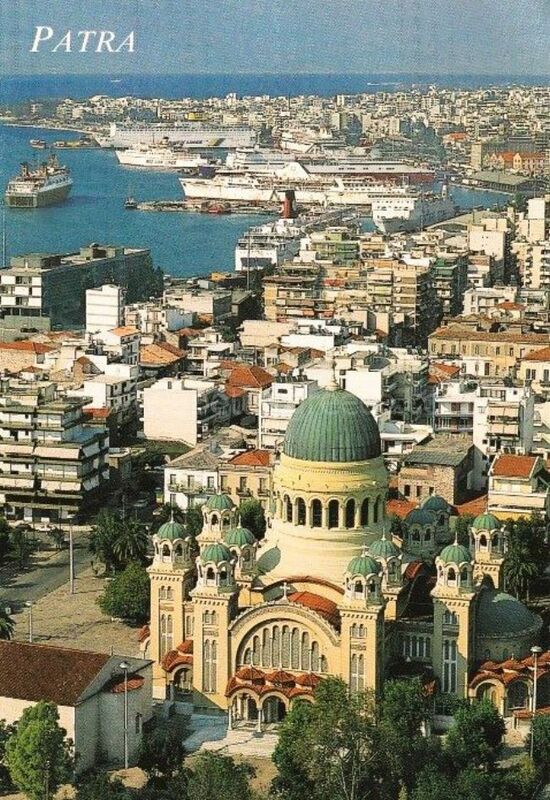 In the center of the city, two historical monuments will certainly draw your attention: Saint Andrew Church, one of the biggest churches in the Balkans, and “APOLLON” Municipal Theatre, one of the first opera houses in Europe. It was designed in 1972 by the German architect Ernest Ziller. Since 1988 it permanently houses the Patras Municipal Regional Theatre. Several spots around Patras honor the famous Greek poet Kostis Palamas. His house is the most interesting one. It is the house where Palamas was born. When he moved to Athens it became the place where Serao family (from Italy) lived and where the Italian writer Matilde Serao was born. Today it houses the Kostis Palamas Institution. The most famous statue of him stands at Ypsilá Alónia Square. Patras is one of the Greek cities that never sleeps. Follow its rhythm. Spend your morning walking around the city’s squares: Georgiou, Olgas or “Ypsilá Alónia” (: meaning high raisin plateau), and admire the city’s beautifully restored neoclassical buildings. Visit the city’s museums: the New Archaeological museum, the Folk Art Museum, or the Museum of History and Ethnology. 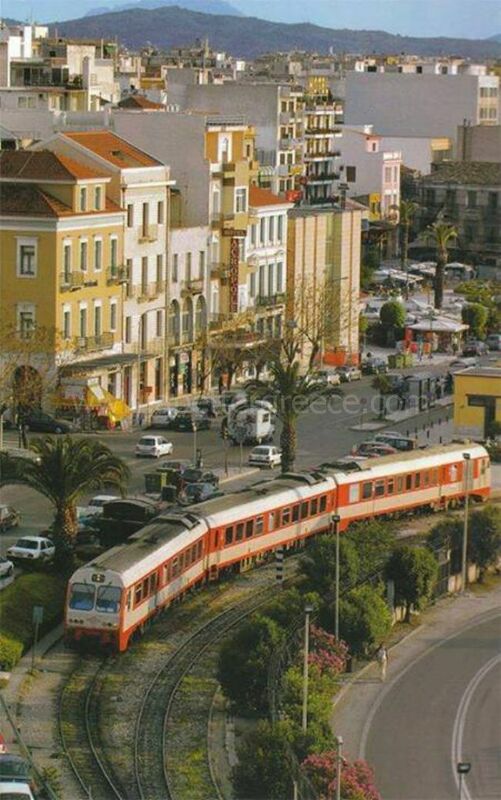 Discover Patras shopping area, and shop your heart out! When you feel tired, enjoy a fine meal, and relax at a lounge café. Then, when night sets in, observe how the streets of the city are transformed into venues of fun. 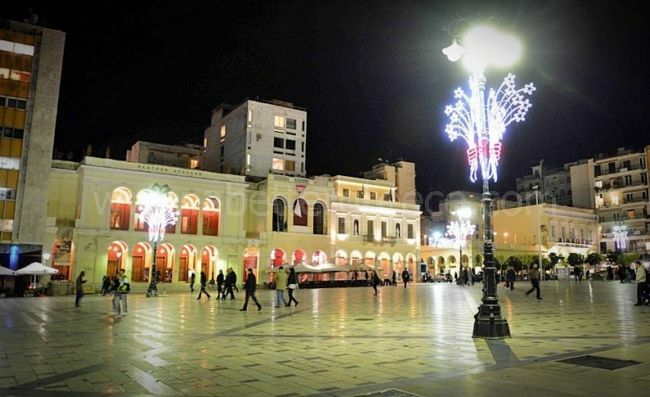 Patras nightlife awakens. Before you leave, pay a visit to the Achaia Claus winery, which is located on a green hill 8 km south-east to the center of the city. You will definitely be amased by the stone buildings, the huge oak barrels, containing century-old mavrodafni, the traditional wine cellar and the unique scenery with the magnificent view. Don’t miss a visit to the “Wall of Dymaeans”, the unique fortified Mycenaean acropolis in Western Greece. Discover a lesser-known, yet major archaeological site, just 35 km southwest of Patras. Feel free to wander through the ancient fort, built according to myth by Heracles, and admire its imposing towers and monumental gates! Patras is the capital city of the Prefecture of Achaia and the Region of Western Greece. The region covers the North-Western part of Peloponnese and the Western part of the mainland. The existence within and the proximity of very important monuments, most notably ancient Olympia, Delphi, Epidaurus, Mycenae, makes the region especially attractive. The year’s round mild climate provides many opportunities for outdoor activities. The area’s fertile soil is suitable for almost every kind of vegetable and crop and the area hosts a rich vegetation of olive and citrus trees. The region is an important agricultural area for all Greece and its vineyards produce fine wine. The weather offers contrast, with four distinct seasons. Spring and autumn are cool. Summers are hot and dry, but the Mediterranean sea offers a lot to do and enjoy. In the winter, the ski-center in the town of Kalavryta, an excellent resort in the near mountains, attracts many visitors. The impressive mountains of Helmos and Erymanthos offer many opportunities for eco-tourism, climbing and other recreational activities. Extensive waters are suitable for the development of aquaculture. The University of Patras plays an active role in an effort to establish Patras as a high tech center. The most ancient traces of permanent human settlement in Patras have been traced during the Early Helladic period in the middle of the 3rd millennium B.C. and since then the area has been inhabited continuously. Already since its first period of prosperity, the Mycenaean period (1580-1100 B.C. ), the names of the three districts found in the wider area are attested: Aroe where the modern city of Patras is located, Messatis in Voundeni and Antheia in the area of Rion. The Achaians of Laconia under the leadership of Prevgenis and his son Patreas, after the Dorian invasion in the Peloponnese at the end of the Mycenaean period, arrived in Patras, forcing out its residents Ionians who escaped initially in Athens and from there to Asia Minor. Since then, Patras, located in the periphery of the Hellenic world, appears not to have been involved actively in the politics of Greece. During the Peloponnesean war the city of Patras sided with the Athenians and on the advice of Alcibiades built long walls from the acropolis to the port. When in 280 B.C. 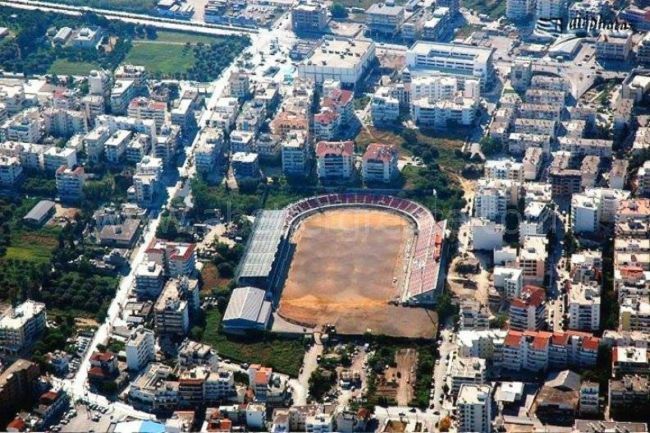 the city assumed the leading role in the establishment of the 2nd Achaean League, it goes on through to its second period of development, as the political initiatives are transferred from Eastern to Western Achaia. However, its third and most important period of prosperity occurred during the Roman empire when, after the destruction of Corinth in 146 B.C., its port became the gateway to the West and in 14 B.C. Emperor Augustus established a Roman colony. The new multinational city became autonomous with the right to mint its own coins. Great public buildings are constructed (temples, market, odium, amphitheater, harbor, bridges, aqueduct, etc), agricultural and artisan products were exported everywhere and its countryside was organized with farm-houses through the application of a special real estate registry. One of the richest selections of very significant Roman and Early Byzantine mosaics in Greece have been found, which will soon be used in the roof of a new Museum. According to tradition the Patron Saint “Apostle Andrew” of the City of Patras suffered martyrdom in Patras. Excavations of the last thirty years brought to light public baths and remains of Christian basilicas. The strong earthquake in 300 A.D. and later the barbaric invasions are the cause for the gradual decline of the city. Around 805 A.D the city survived from an attack of Slavs who had settled in the surrounding countryside. The revolt of the Slavs was suppressed dynamically by the civil and ecclesiastical authorities and, according to tradition, by a miracle of Saint Andreas. 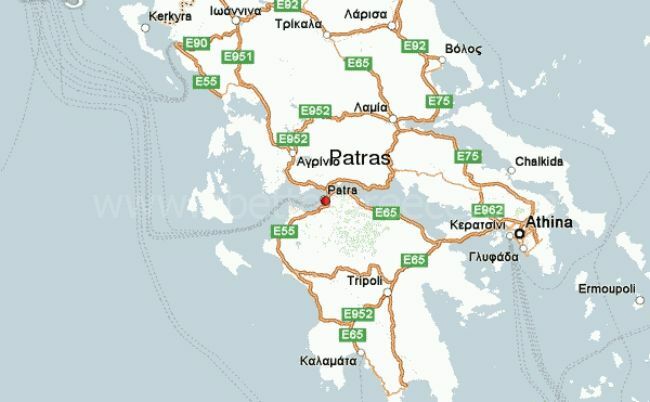 The Diocese of Patras, initially under the Diocese of Corinth, was promoted at that time to Metropolis. With the city is associated the name of Aretha, Bishop of Caesarea and a famous Byzantine intellectual and humanist who was born in Patras in the middle of the 9th century. After the conquest of Patras by the Latins in 1205, the city became a barony under the Principate of Achaia. Around 1207 the Latin Archdiocese was established in Patras. In 1267 the barony was sold by the last baron to the Archdiocese of Patras for 16.000 golden coins. Since then, the Latin archbishops ruled Patras as autonomous rulers. At the same time the interest of the Venetians for the city was increasing and they occupied it for a short period of time. The city was taken back under the Byzantines when Constantine IA- Palaiologos, Despot of Mystras, occupied it in 1430. The city was surrendered to Mohamed B-the Conqueror on March 15, 1458. During the Turkish occupation Patras took part in the revolution of 1770 (Orlofika). The revolution was suppressed by force on April 13, Good Friday day. In 1779, the city was also set on fire by Muslim Albanians. The contribution of the city to the Revolution of 1821 was important. The Committee Philike Etaireia of the Peloponnese was located in Patras. The Association was a secret organization preparing the ground for the National Revolution of 1821 against the Ottoman Empire. On March 22, 1821 the Hellenes who revolted together with the residents of Patras gathered in Saint George’s Square, where the Archdiocese Germanos sang a short memorial service for those who were prepared to die during the struggle and prayed for the Struggle. The fighters swore a pledge for the faith and the country. One year after the liberation of the city, the first “plan of the city” was drawn out (1829), under the orders of Kapodistrias, with a uniform rectangular layout according to the Hippodamean system, by the engineer Stamatios Voulgaris. A few years after the end of the revolution and the transfer of the capital of Greece from Navplio to Athens (1834), Patras was transformed rapidly into an important civil and financial centre, with a worth mentioning social organization and high level cultural life. This development helped the city to live its most fascinating period, the so called “Belle Epoque” from 1900 until the end of the First World War. For this development Patras had all the prerequisites that was absent from other Greek cities, as the strong commercial and industrial activity with a basic axis the exportation of raisin and the continuous communication with the islands of the Ionian Sea and Italy. Since 1900, up until the present, the city of Patras is divided into the Upper and Lower City. After an earthquake struck the region in 551 A.D. probably in the middle of the 6th century A.D., a castle was built on a lofty hill-extension of Mount Panachaico. On the outer side of the castle, the walls have been embodied with marble beams, columns and other architectural parts deriving from ancient buildings. The Lower City was built, after the city’s independence, in the flat plain along the coast. 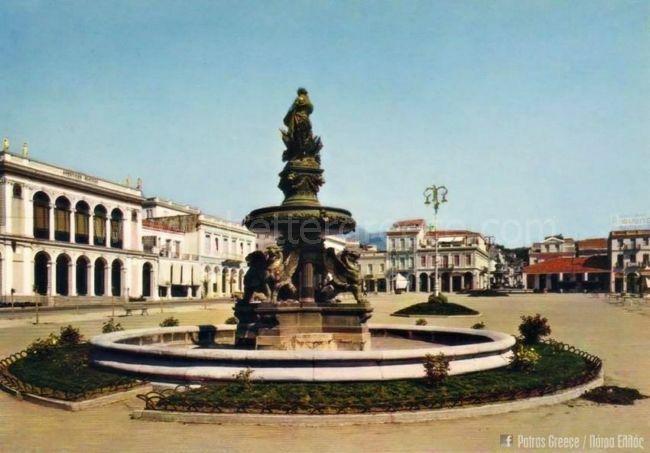 The square of George I, is the centre of the city of Patras, where the municipal theatre “Apollo” is built, work of Ernst Ziller (1872) a Saxon architect. The Saint Andrew church is located where an old Christian Basilica used to be which was maintained until the beginning of the 18th century. The church was repaired by the Venetians around 1700 and was destroyed by the Muslim Albanians during the war in 1770. In its place a “small church” was built in 1863, work of the architect Lyssandros Kavtantzoglou. The construction of the contemporary large church next to the small church started in 1908. The church of Pantanassa in the Lower City (1857 – 1859), work of Kavtantzoglou and Freariti, the Anglican church of Saint Andrew (1872) in the homonymous street, and the Metropolitan Church of the Annunciation in Maizonos Street, constitute characteristic ecclesiastical architectural works of the period. In the south eastern side of the Acropolis, the Upper or Old Town is built rather disorderly. There the houses of prominent citizens of Patras existed, e.g. the houses of Roufos and Papadiamantopoulos, as well as the old Municipal Hospital which was built according to the plans of the Danish Architect Hansen and was founded by King Othon in 1857. Very few of the beautiful houses of that period, urban mansions and country villas, are still standing. The New Archaeological Museum of Patras is located in the city of Patras, on the corner of the New National Road Patras-Athens and Aretha Street. Built on a 28,000- m2plot of land, with 8,000m2 of interior spaces, it is the second-largest museum of Greece. The area surrounding the museum comprises of a 500 m2 pool, a shiny metallic dome and greenery. It houses collections about the history of Patras and the surrounding area from prehistoric to the end of Roman times. The museum has three main thematic sections: private life, public life and necropolis. The poet Kostis Palamas, the sculptor Memos Makris and the composer Liolios were born in Patras. An event of the modern city worth mentioning is the annual carnival, a tradition imported from Italy during the last century. The harbour of Patras, as in the past, is today the commercial and touristic gate of Greece to the West. The commercial and cultural contacts with Italy play an important role in the development of the city. 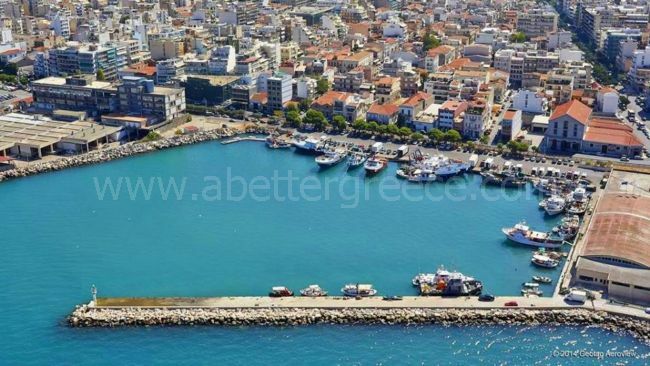 Patras is a vibrant city with a population of around a quarter of a million with very attractive and exciting events, lots of amenities; it successfully combines the advantages of a modern city with the charm of one with a very long history. Its residents have many opportunities as the city provides many cultural and recreational venues. The waterfront, beautiful squares and many traditional and neo-classical buildings captivate the visitor. Patras is built under the shadow of a Byzantine castle, standing on a hill above the city dominating its highest part. The names of many neighbourhoods still remain the same name since ancient times which remind one of the city’s past history and glory. 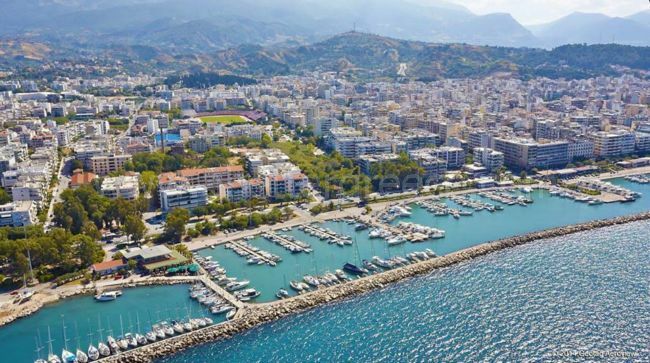 In the surrounding area, unrivalled calm, vast and sandy beaches and enchanting shores, offer the delight of water and aquatic-sports and at the Marina there is the Patras Yacht Club. Along the very attractive coastline, there are many picturesque seaside villages with taverns, offering fresh fish and traditional Greek dishes. The possibility for daily excursions are many and a variety of places near-by to visit, admire and enjoy, such as the islands of Zakynthos, Kefalonia, Ithaca, as well as many coastal resorts. The city has a range of hotels, restaurants, indoor and open-air cafeterias, late night clubs with live music or just a good atmosphere, all within easy reach from the centre. In Patras, you can discover a wide choice of entertainment to suit your taste. In the city centre there are a variety of shops, department stores and many boutiques, all within easy reach. Many small stores are also found throughout the city. The Archaeological Museum of Patras is an old private house, on the corner of Aratou and Maizonos Street next to Olgas square. Works of art of the whole of ancient history of Patras are exhibited. Most characteristic of all is the marbled copy of Phidias’ Athina Virgin, three original sculptures, from the temple of Triclaria Artemis, representing the wars of the Amazonos, a Roman mosaic floor depicting musical and athletic events, clay objects, metal and other items all characteristic of the historical period of the city’s history, funerary finds from the Hellenistic period and an excellent selection of Roman glass.. There are also the Historical and Ethnological Museum and the Press Museum. There are two football stadiums and several indoor basketball courts which host local teams as well as visiting teams from other cities. Two municipal swimming pools provide facilities for swimming and water polo teams. The Tofalos Sports Centre hosts a number of national and international sporting events all year. A new Museum is under construction. Patras is a major port for Greece and the Mediterranean as a whole, and is considered to be Greece’s gateway to the West. It is also the main Commercial and Administrative centre for Western Greece with rail and road links to Athens and other major cities. There are a number of Industrial Enterprises, mainly in the areas of food processing, textiles, brewing and cement. In addition, there are a good number of service enterprises. Tourism represents another source for the economic life, although Patras is considered a passage rather than a resort centre. 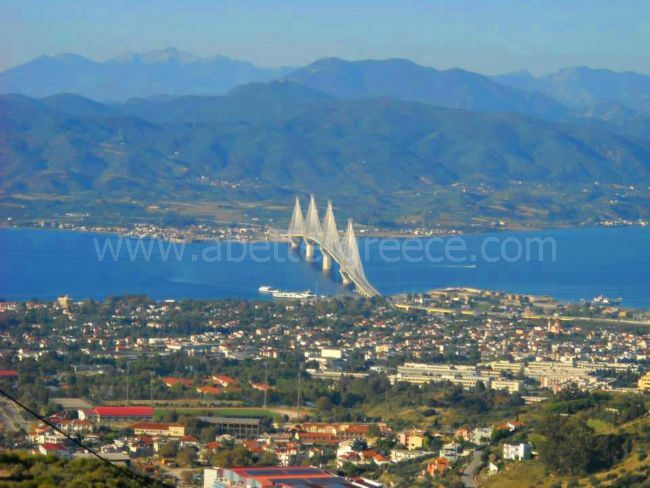 The new bridge Rion-Antirrion connecting Patras with Mainland Greece, the National Road by-pass and the new harbour, are changing the City and the environment significantly. Local authorities and people expect the University to play a leading role in helping the city define its character in the early part of the 21st century. The city offers a wide variety of cultural opportunities with many musical, theatrical events and festivals. In the Municipal Art Gallery and at several private galleries, painting and sculpture exhibitions by local and internationally known artists, take place. The Municipal Library is housed in the same building and also arranges cultural events such as literature reading. Many famous composers started their musical careers here hence the city’s long musical tradition. You can find a classical repertoire but also other types of music. The Plucked String Orchestra of the Municipality of Patras also welcomes University students to become members. For the classically inclined, the Soloists of Patras offer regular performances. The Apollo Municipal Theatre is a place for performances, as well as for concerts. It is a neo-classical building designed by the famous architect Ernst Ziller, centrally located and also home to the city’s Theatre Company. There are also other theatre groups, most notably the Agora Theatre with a regular programme of events. In the open air theatre in the castle, orchestras and other performing artists make regular appearances. The Art and Literature Building has a gallery and an auditorium for speeches and presentations. The old Municipal Hospital operates as a cultural multi-centre since its restoration. Every season a variety of cultural events are held, culminating in the International Summer Festival, which plays an important role in the city’s cultural life as people become acquainted with different kinds of art. The city is also famous for its annual carnival, one of the best in Europe, which occurs in the pre-Lent period in February or March. Walking is the best way to know and enjoy Patras. A stroll through the city will reveal many things to the keen observer. Getting around the inner city is easy, as the city centre is not vast and distances are short. Pedestrian streets, beautiful squares, small shops, cafes and taverns invite one to wander about and enjoy the ambience. The waterfront can be appreciated from numerous outdoor cafes and restaurants. Strolling through its cobbled streets, you will find numerous entertaining venues. Psila Alonia is a lovely spacious square with palm trees, many outdoor cafeterias and the statue of Paleon Patron Germanos ―a leading figure in the nation’s struggle against the Ottoman Empire in 19th century. At the end of Agiou Nikolaou St., walk up the steps and visit the Castle, a place steeped in the mist of myths and folklore tales. 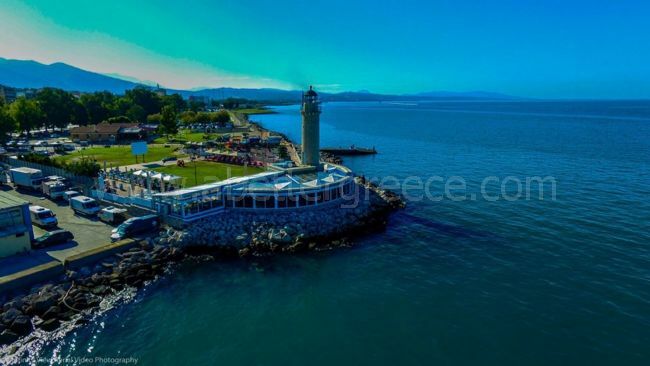 You may also go to Dassilion, which is a small pine forest overlooking the city, with a cafeteria-restaurant where you can enjoy your coffee or ice-cream with a panoramic view of the city, the harbor and the Gulf of Patras, especially in the afternoon under a magnificent sunset. The Skagiopoulio Park is a quite green spot in the heart of the city. The Saint Andrew church, rising majestically, is the biggest and most beautiful church in the Balkans. Also, worth visiting is the Achaia Clauss winery, set in an idyllic place with many vineyards, producers of the famous wine “Mavrodaphni”. The colorful open-air markets in different parts of the city offer harvest-fresh fruits and vegetables.